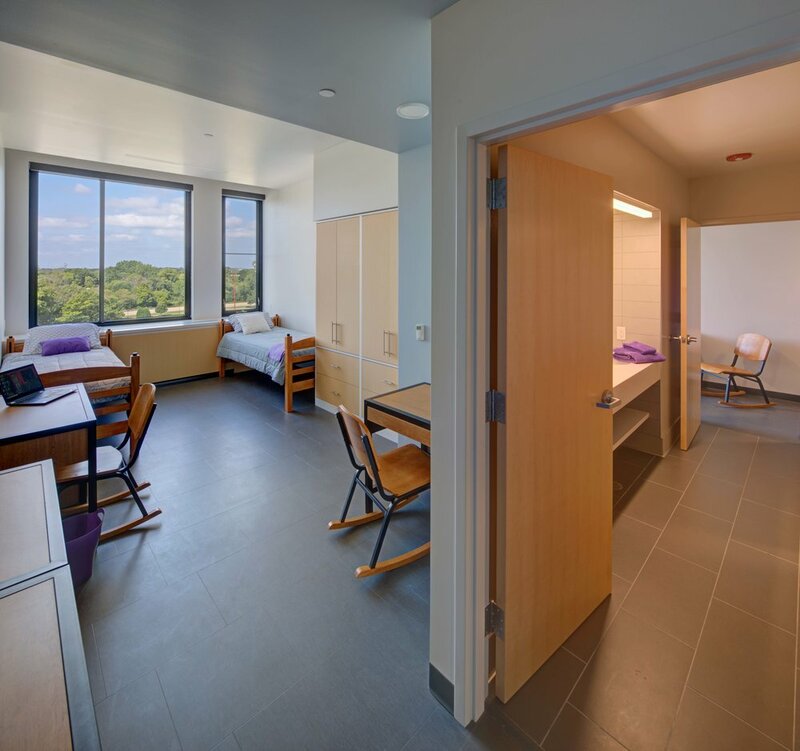 As part of a larger residency master plan Workshop completed in 2016, our team crafted a strategic student life approach that emphasizes the need for additional residency along with bonding spaces on campus. 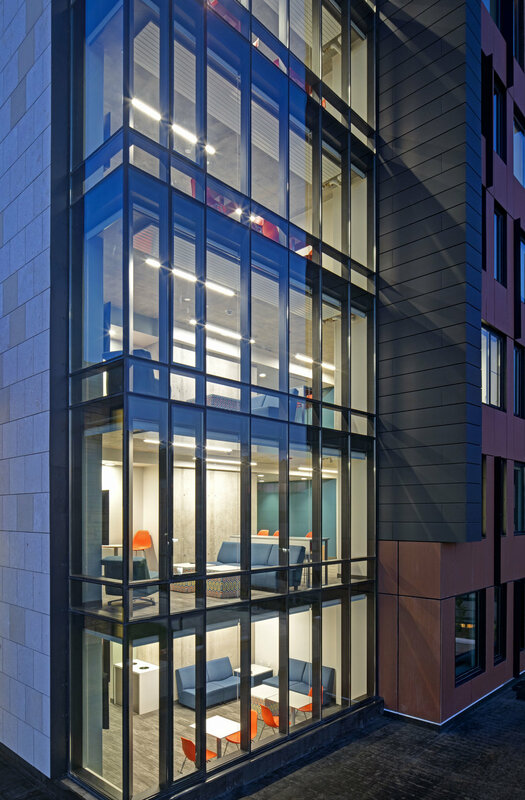 The first two levels of this eight-story infill includes social spaces such as communal kitchens, diverse lounge and study, and recreation, which bridges collegians from different walks of study. 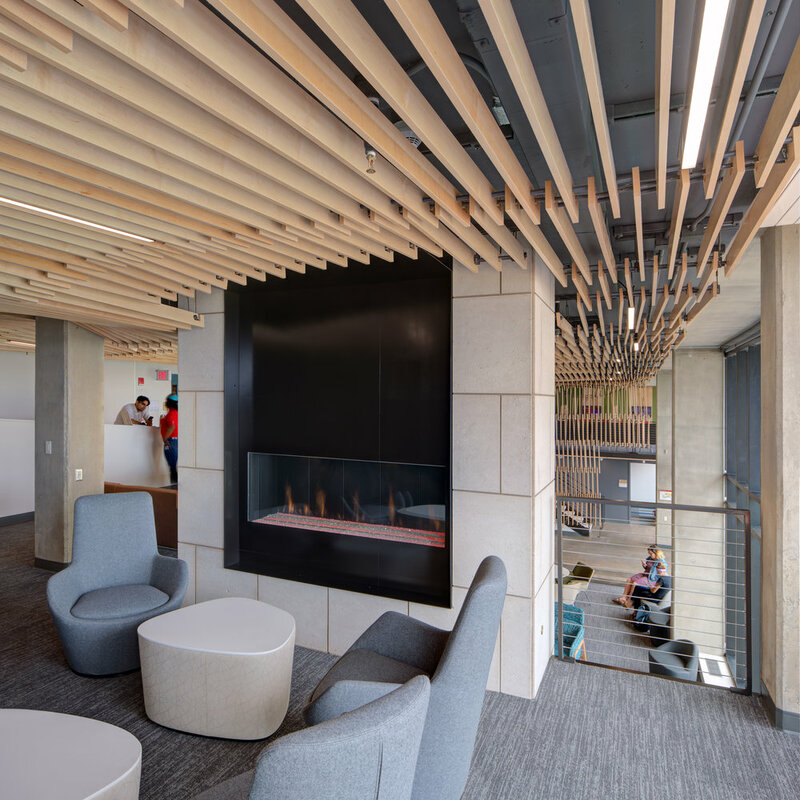 As the fireplace welcomes residents down, it also warmly invites commuters from the wider campus community. 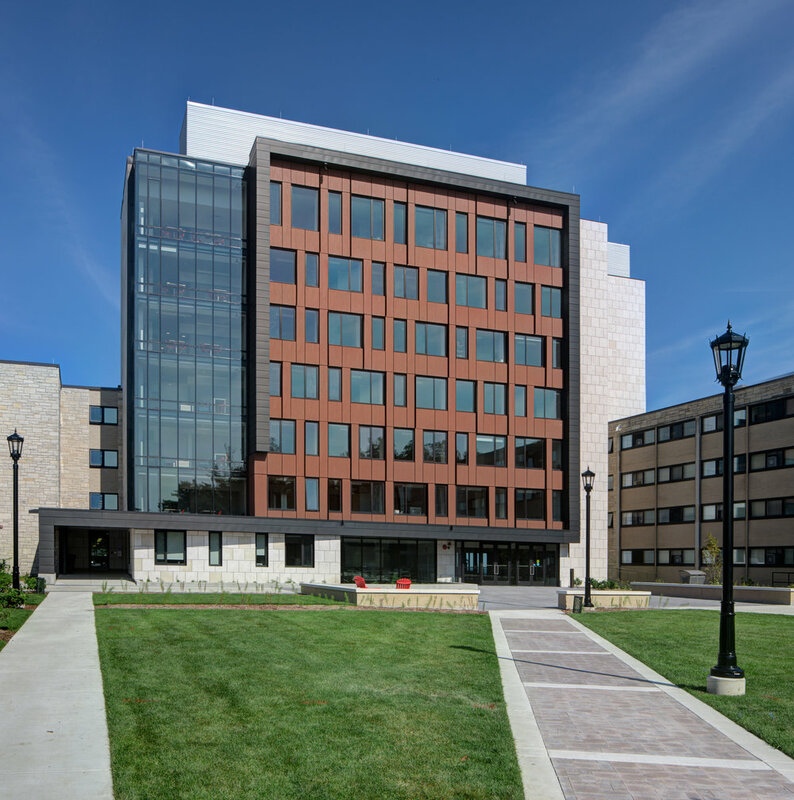 Feedback from hundreds of students on campus pushed the design team to visualize beyond just residency by embracing Carthage's existing assets and breathtaking location. This addition links two existing buildings and pulls east views of Lake Michigan through the indoor double height lounging to the open outdoor activity spaces such as volleyball courts, greenspace, and stages to the west. 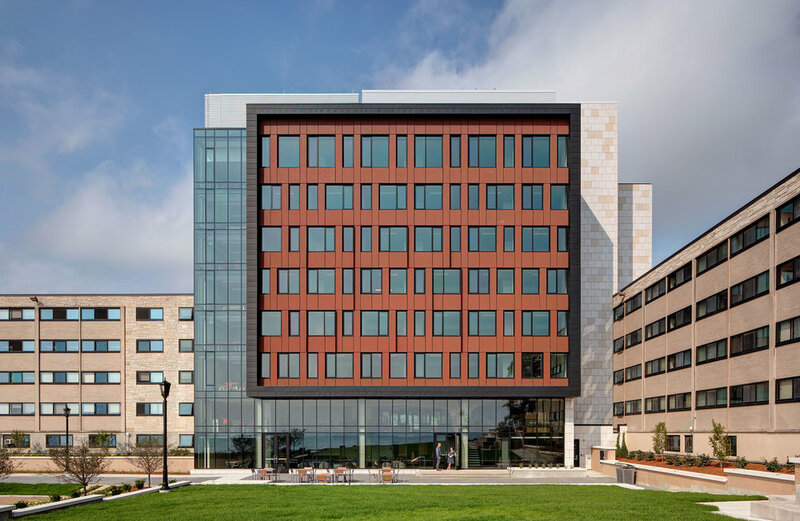 As this connective ambiance of spatial bridging and social bonding takes place, extension into the surrounding campus family interlocks and embraces the overall student experience.